commented on "One of the charities spitfiretrenchart.co.nz supports is the Nelson Marlborough Rescue Helicopter. This week go to trademe and search on ..."
One of the charities spitfiretrenchart.co.nz supports is the Nelson Marlborough Rescue Helicopter. 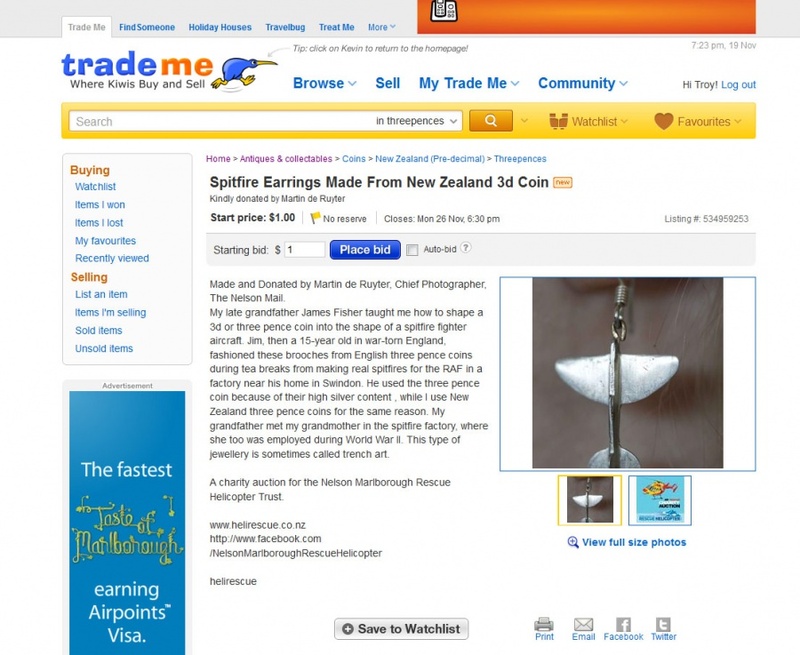 This week go to trademe and search on "helirescue" where there are auctions for a number of items including spitfire trench art.